Kendall Glove Box Dispensers, manufactured by Covidien, are exam glove dispensers that are designed to hold 1 standard size box of gloves in either a vertical or horizontal position. 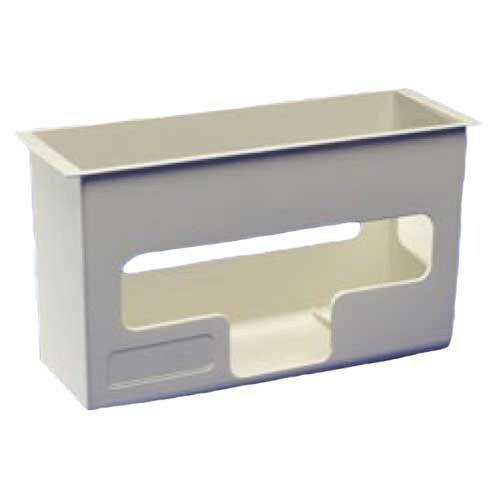 Medical Glove Box Dispensers are ideal for busy clinics, hospitals and facilities. Unlike other exam glove box dispensers, the Kendall dispensers are compatible with SharpSafety containers 12 and 5 quarts. The sharps containers mount directly onto the glove box, so that healthcare workers can easily change gloves after disposing sharps without walking across the room. Easy access, wall-mounting glove box holder.